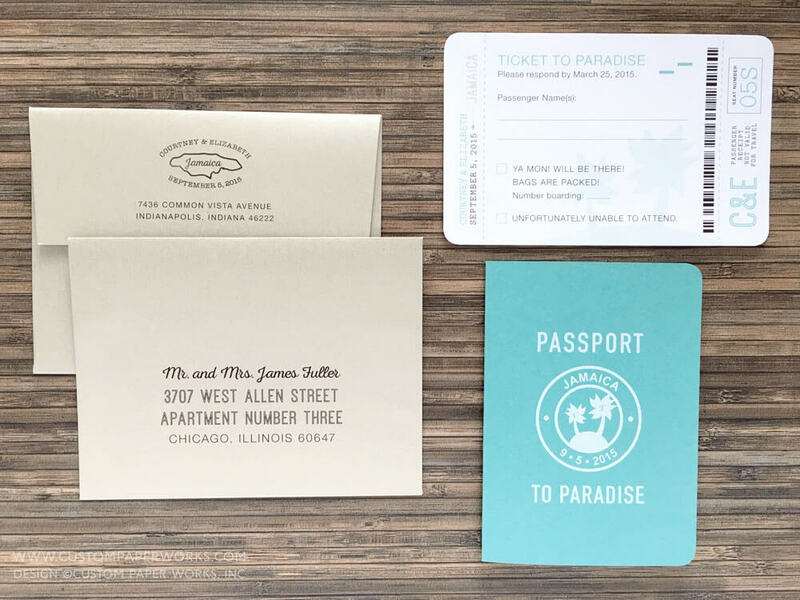 So far Kate has created 114 blog entries. 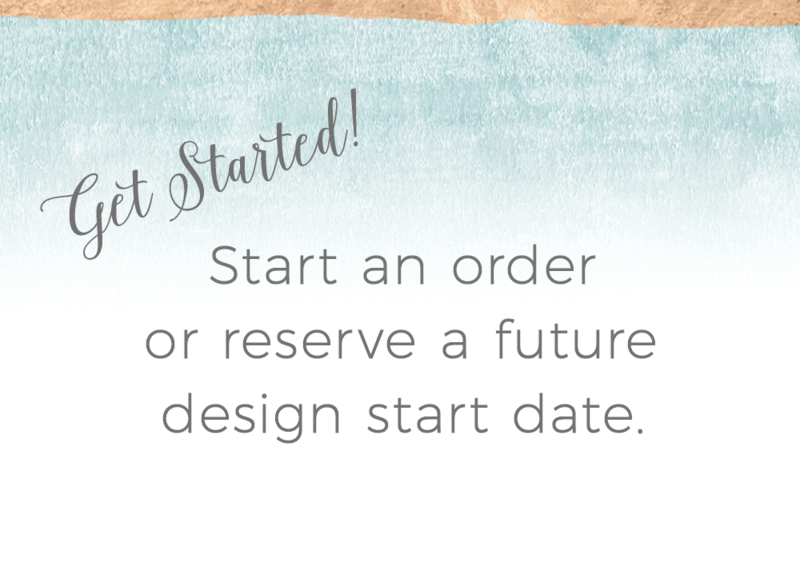 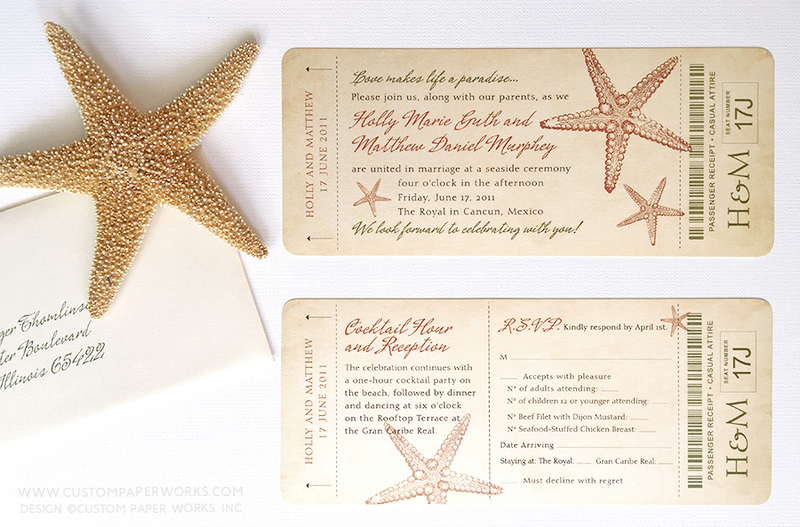 We'd love to create your custom invitations! 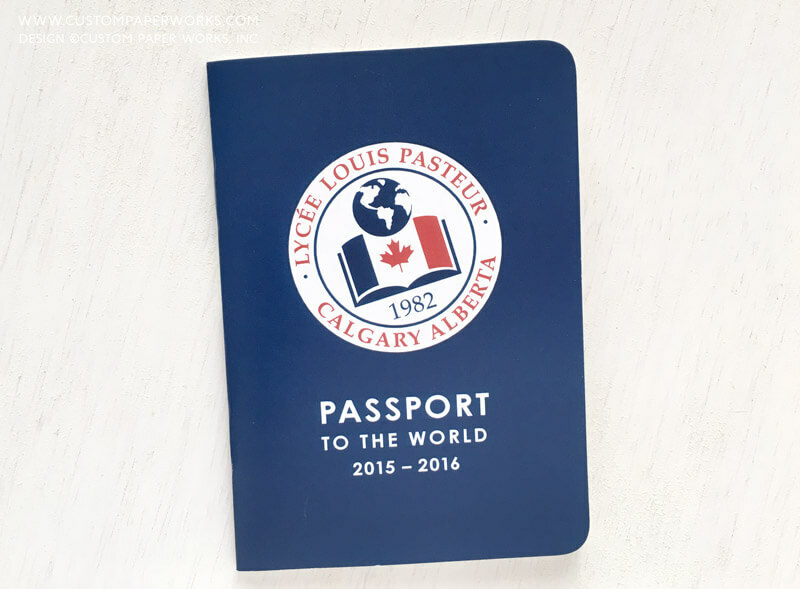 Passport books are a fun way to announce your corporate retreat! 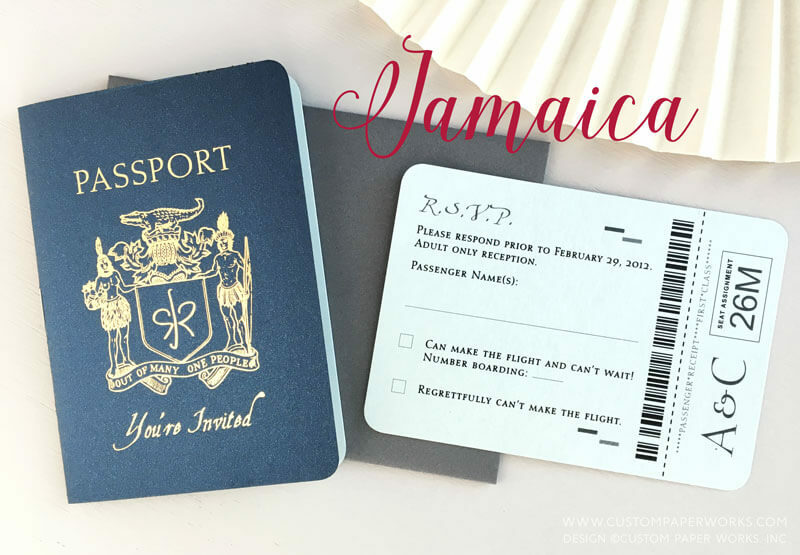 A unique travel theme wedding features a suitcase-theme passport invitation. 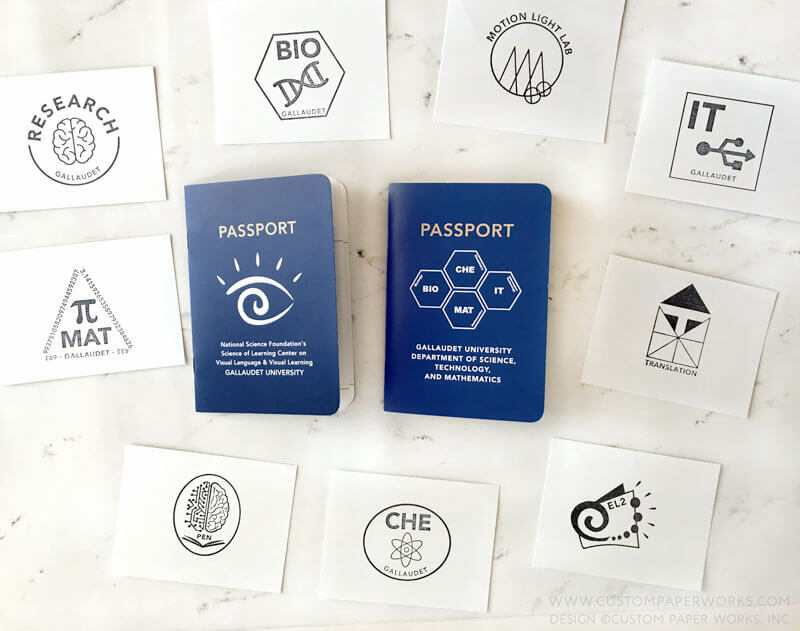 Custom passport book for university open houses encourages more active learning for attendees. 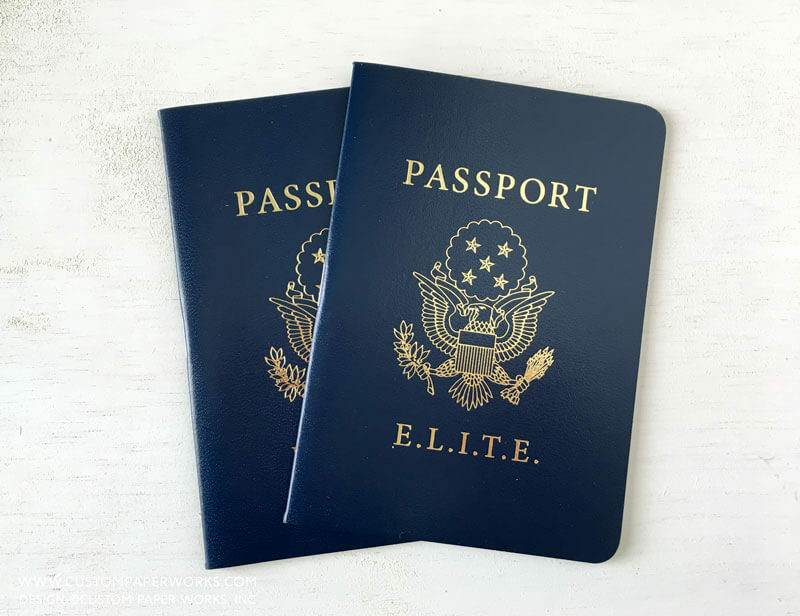 Passport booklets can help you develop your network marketing team! 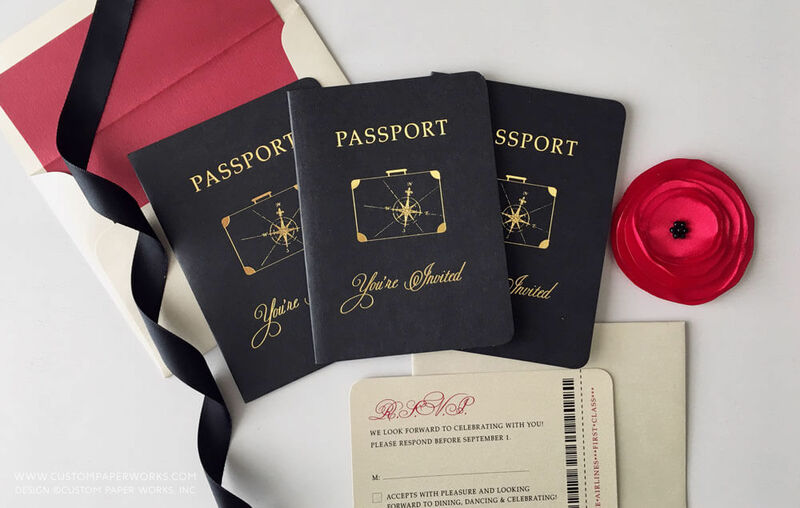 Could a passport booklet inspire donors at your formal fundraising dinner? 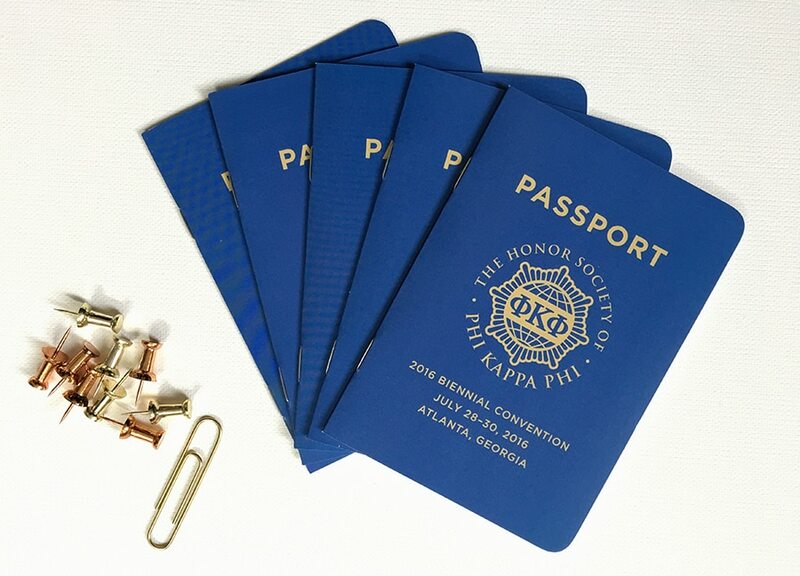 Attendee passport books for an educational non-profit event. 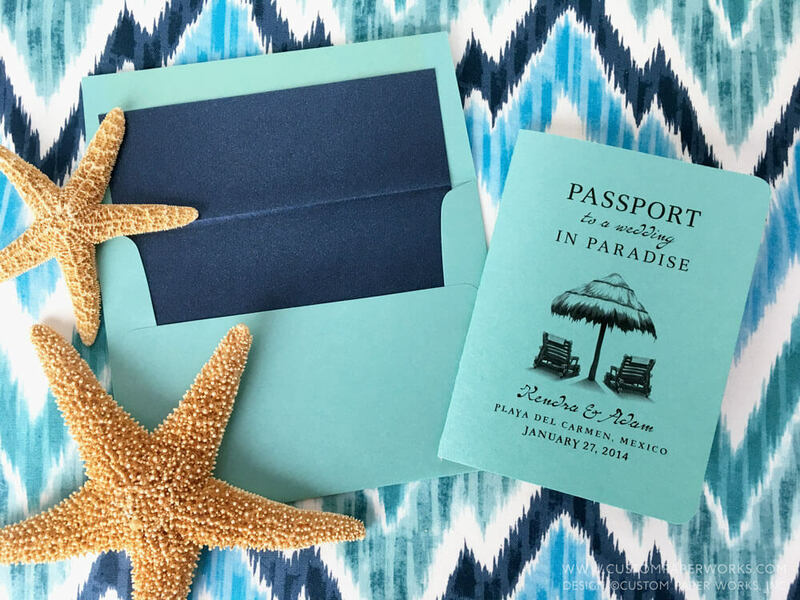 Beach chairs cover design for Mexico destination wedding invitation. 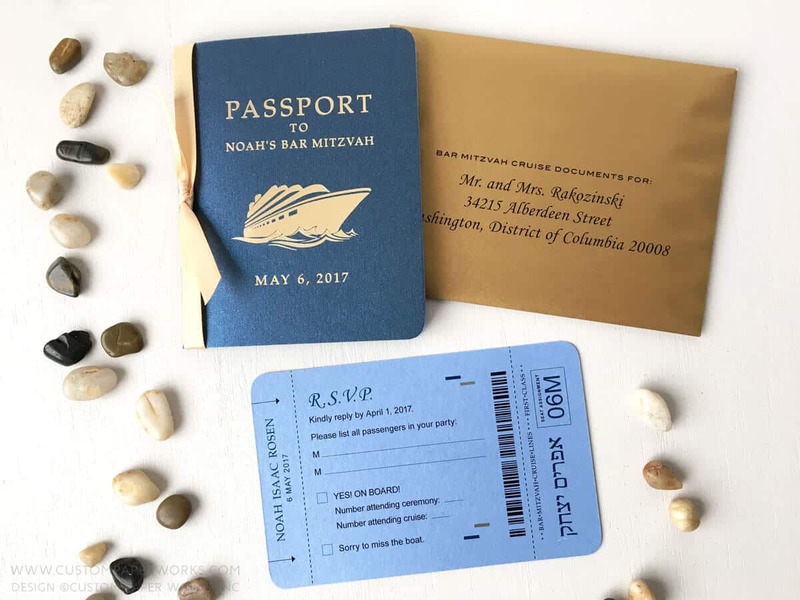 Bar Mitzvah passport invitations with a gold cruise ship emblem. 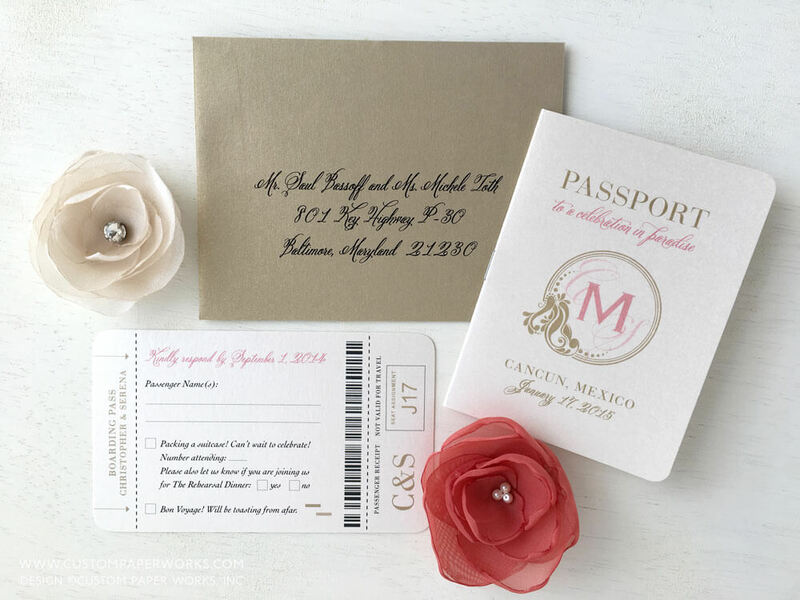 Pasaporte invitación de boda en español! 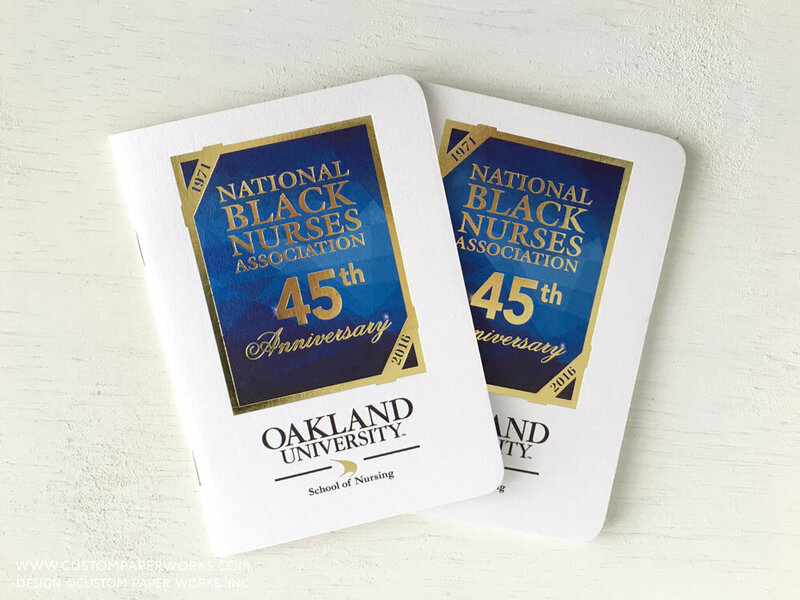 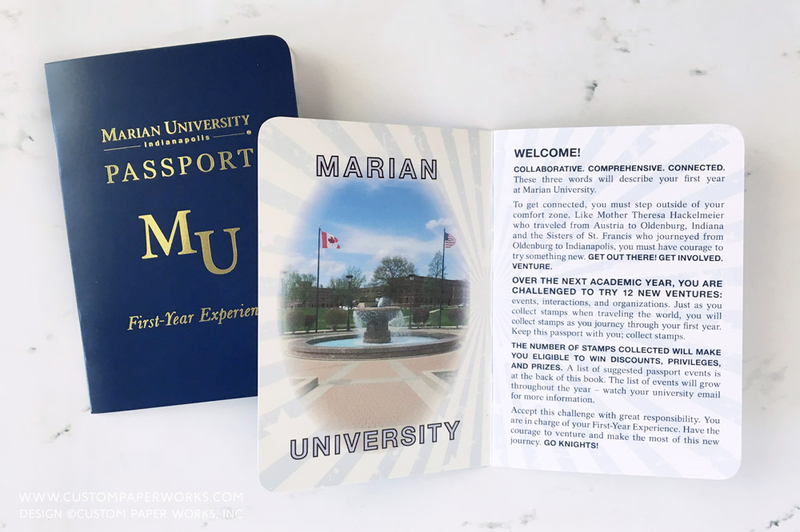 Custom passport booklets aids in the success of new university students. 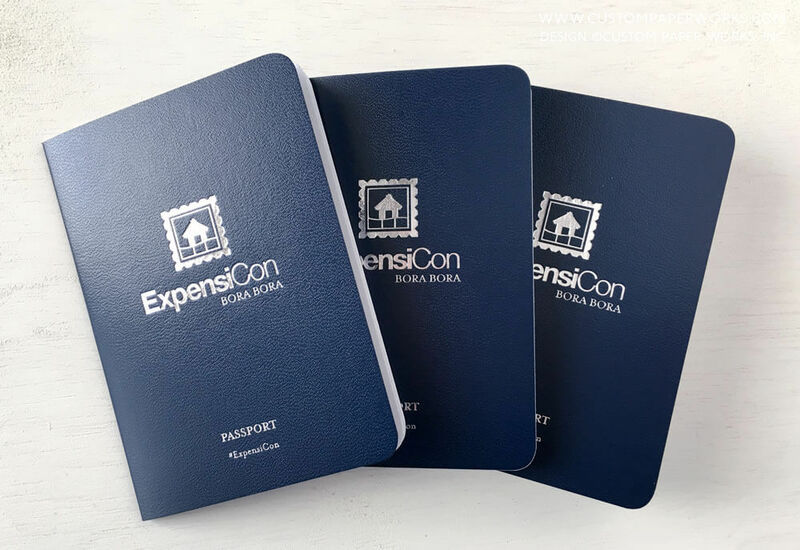 Many of our corporate clients reorder their conference passport booklets year after year. 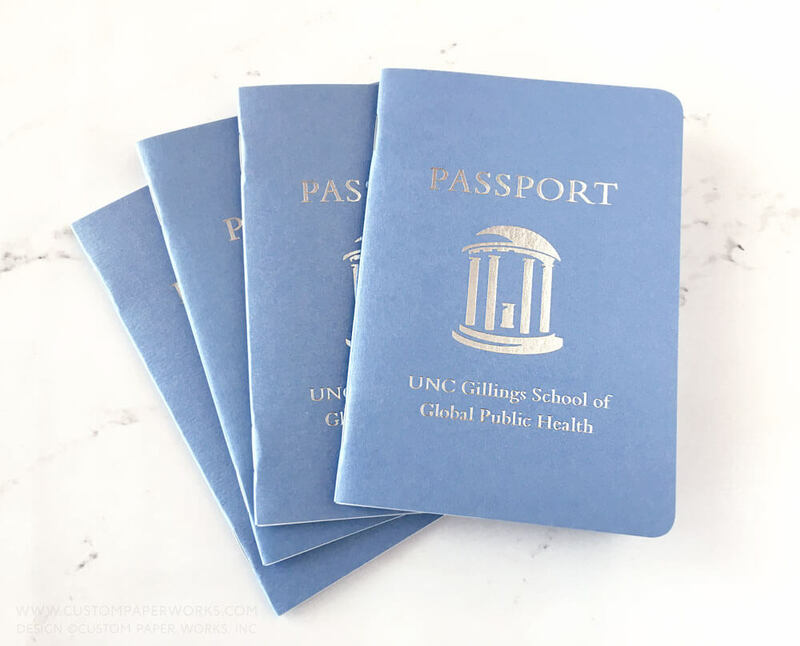 Event program books that look like a passport. 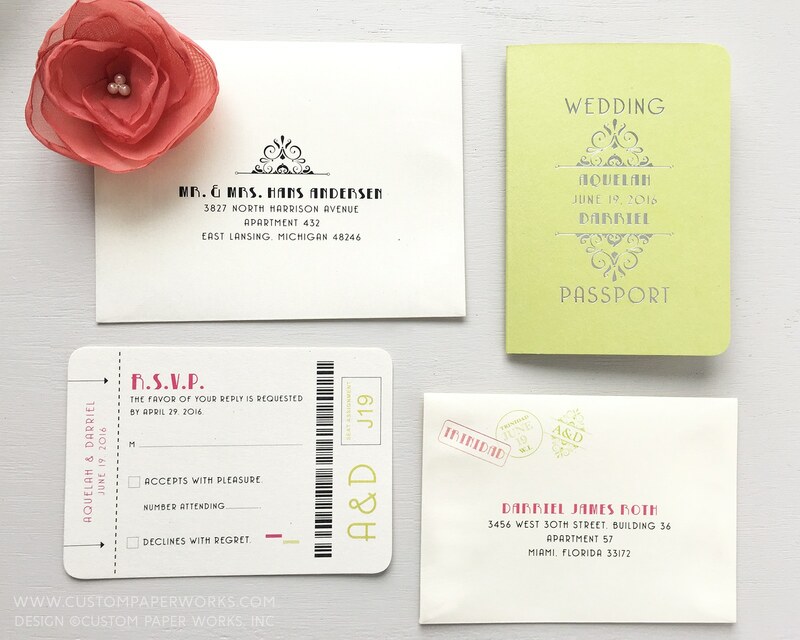 Lime green and pink passport wedding invitation for a Trinidad wedding. 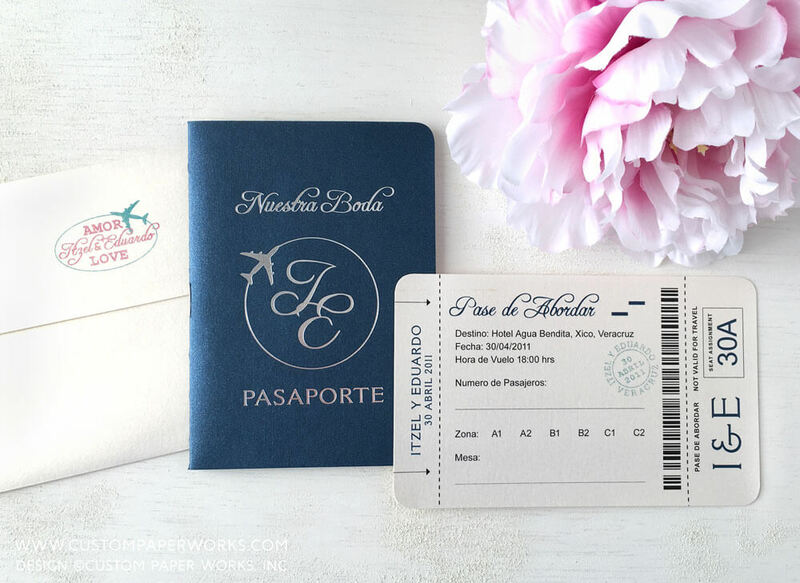 Modern typography on a 2-page passport invitation. 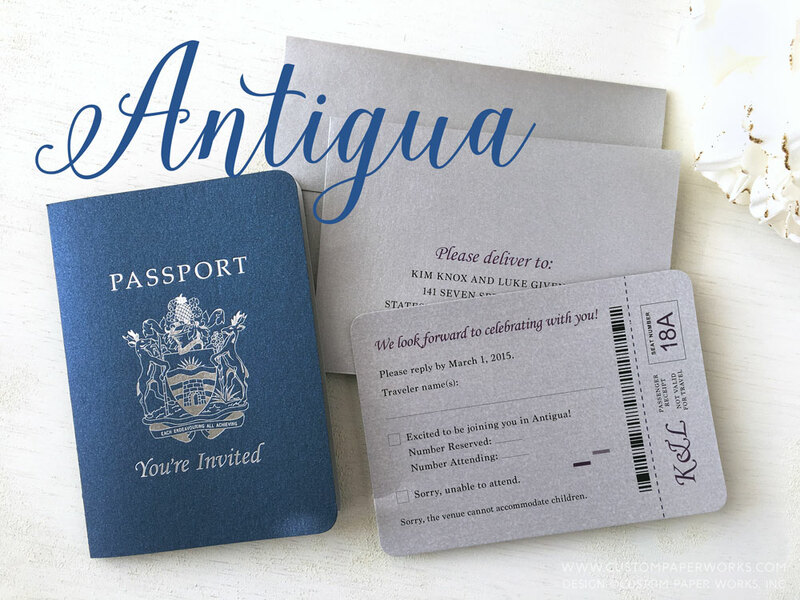 The Antigua Barbuda coat of arms on blue passport invitation. 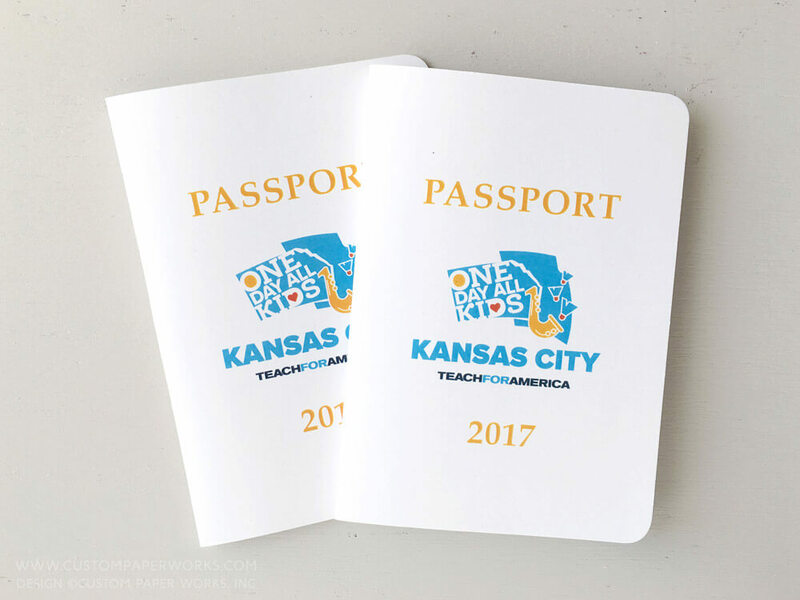 Passport booklets are a fun way to track volunteer and community service hours.